We received the shocking, sad news today that a man we have known for years has suddenly passed away. Our families’ lives have been loosely intertwined for over 50 years – his family was at school with mine, my son has been friends with his younger son from early childhood. So it was with heavy heart that I made this card for his family, particularly his widow who is a friend. The inspiration for this was challenge no 157 over at Muse, I really liked the way the sentiment filled the gap. I am also going to enter this in the Flower Power challenge at Stamping Sensations. The flowers are by Altenew, coloured with Zig Clean Colour pens. The stamped greeting is by Hero Arts and the diecut “sympathy” is a new purchase from Clearly Besotted – I didn’t think I’d be using it quite this soon. If you live in the UK it won’t have escaped your notice that yesterday was Mother’s Day. 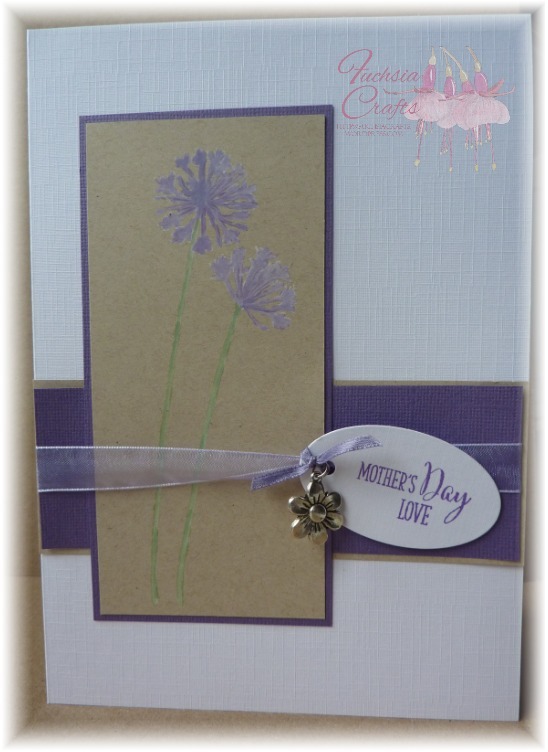 This was my card for my Mum, inspired by the sketch at Paper Play Sketches. The main image is a Stampendous agapanthus stamp, coloured using the whitewash technique. I kept it simple as my Mum prefers CAS cards. 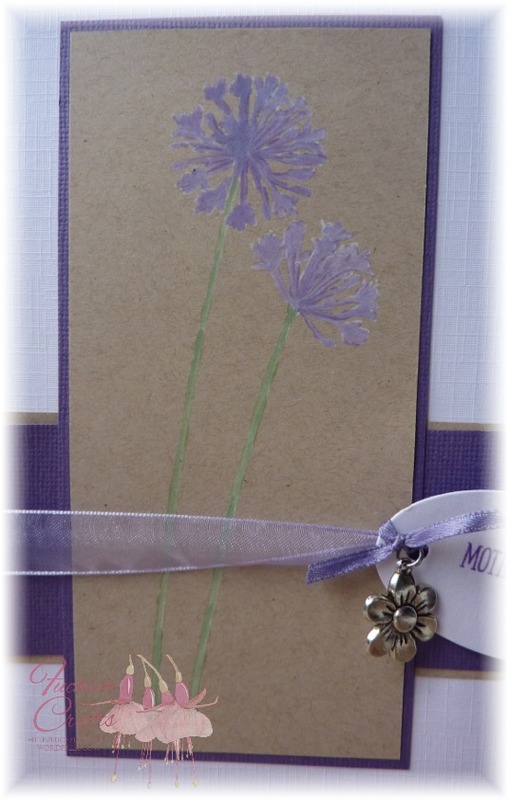 The greeting was a mix of stamps by Clearly Besotted, stamped in Memento Grape Jelly and then cut out using a Spellbinders label die.